So for whatever reason, I recently got to thinking about Final Fantasy IV. Reason being, the game has always been a bit of an enigma to me. That's not to say I Don't like it, by any means, but why I like it is a hard question to answer. If you were to look at the game with a critical eye, chances are you would find that it is pretty lacking in areas, even by 1991 areas. So why is it that the game is so celebrated? I can't speak for everyone, not can I claim to really know the answer, but I figured it was worth some thought anyways. Now before I go on, let me take a moment and explain where I think the game is lacking. First and foremost, it comes down to the fact that Final Fantasy IV has very simplistic gameplay. And as we all know, gameplay is king. Look at the character progression system. It's just about as basic as it gets. You earn experience, sometimes you level up, and if magic is a thing you do, sometimes you learn spells. 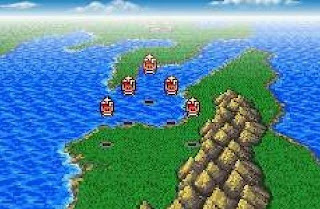 Every other Final Fantasy on the planet (except maybe Mystic Quest) has something to mix it up, but not IV! If you're playing an early version of the game, you can't even change your party. 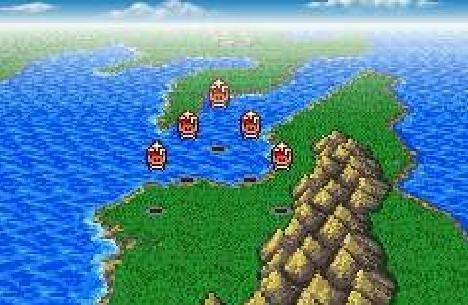 Even the original Final Fantasy managed a lot of depth just from choosing the classes of your crew. FFIV on the other hand, is a game wherein every playthrough is largely identical right down to each character only ever having a few abilities at best that are worth using. There aren't any puzzles to solve, either (unless you consider "choose the right path", "cast float to not take damage" and "find the hidden path" to be puzzles). Heck the game is even incredibly linear, although you probably wouldn't even notice unless you thought about it (which, is probably worth a post all on it's own). So now that we have all the bad juju out of the way, let's get to talking about why the game is good. Now obviously a big part of the fanfare behind the game comes from nostalgia (and perhaps some rosy colored glasses), but the fact of the matter is that people wouldn't have that nostalgia if they didn't enjoy the game to begin with. Where does that comes from if the gameplay is so simple? I think when it comes to JRPGs I'm not alone when I say that I don't care about the story anywhere near as much as the mechanics and the battle system. 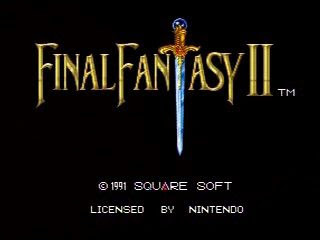 However after thinking about it, it seems the only logical explanation has to be that Final Fantasy IV is simply one of, if not the best example ever of story carrying a game. It's also worth noting that the game doesn't necessarily have to be impressive by today's' standards or to 20-somethings. I feel like it was a lot easier to impress young gamers 20 years ago than it is to impress the average gamer of today, thus nostalgia. So This cool black knight guy is talking to his crew and... wait, story? You can fit one of those on a SNES cartridge? We can actually tell that there is an interesting world behind this game from the amount of time spent on flavor. It doesn't outstay it's welcome though, and before long we are murdering innocent bystanders. That's some pretty serious and unexpected stuff! You thought you were supposed to be the hero, but here you are... It's ok though, we immediately see how distraught Cecil is over what he's done. We can tell that he is not in fact a monster, rather he is deeply conflicted, haunted by his choices etc. In other he is a flawed character with a real, relatable personality. On top of all this we have introduced the game's mcguffin in the form of the crystals, which any player who knows a thing or two about RPGs would recognize as being important. So Squaresoft did a good job making a cinematic intro that conveys a ton of things within a relatively small amount of both time and text. From the get go it's pretty clear that the plot, world and characters are all far superior to any RPG that came before it. That's not all the SNES is capable of, though. Right out of the gate, the player is greeted by two amazing songs powered by the best console sound you could get for a long time. Never underestimate the impact of a powerful song like the Redwings Theme (the other song being an excellent rendition of The Prelude). Even graphically we can immediately see an expansive world full of color and fancy animations. Within the same opening scene we get to see how much better the battle system looks, how detailed the sprite looks, that there are cool animations, and some awesome spell effects. All of this persists throughout the game, too. So I think it's pretty safe to say that a lot of the appeal behind FFIV was that it simply provided a mind blowing step forward the likes of which we may never see again. It could be argued that the jump to 3D was bigger, and I wouldn't disagree, but the fact is that these days we aren't restricted by technology so much as our imaginations. Even talking about the gameplay, it's quite possible that there the developers chose to keep things simple. There are certain benefits that can be derived from that, and in the end of the day it certainly doesn't feel as doom and gloom as I made it sound above even if you were to play it today. For instance, for all the simplicity of the gameplay they still managed to make fights like Asura and the Magus Sisters interesting. Anyways those are the conclusions I have arrived at. I could probably ramble about Final Fantasy IV for an excruciatingly long time, especially if I put more thought into the topic. If nothing else I feel vindicated in my adoration of the game and learned a bit about design by analyzing the games intro.